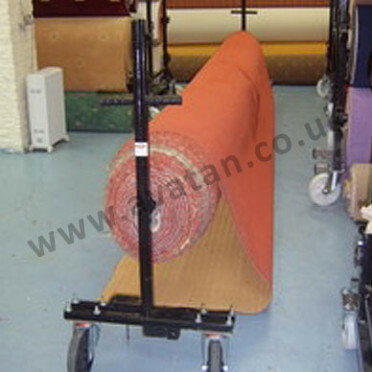 Lift and go carpet, yankee style carpet, vinyl and matting dispenser for 4m or 5m rolls. 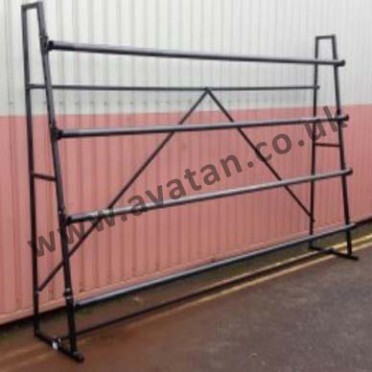 Supporting bar set at 520mm above floor to suit 900mm diameter rolls. 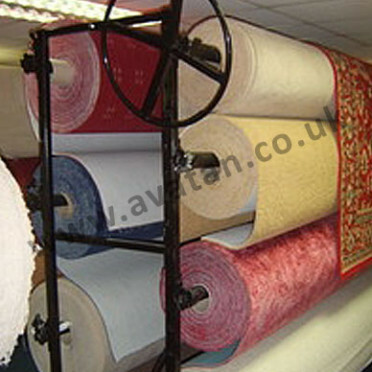 Specials may be provided to suit larger diameter rolls. 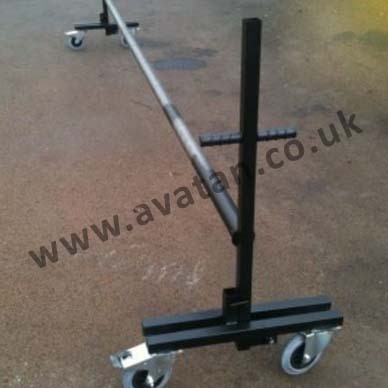 Standard unit on 125mm diameter swivel and swivel braked castors suitable for 4m rolls. Heavy duty unit on 200mm diameter swivel and swivel braked castors available for 4m or 5m rolls.